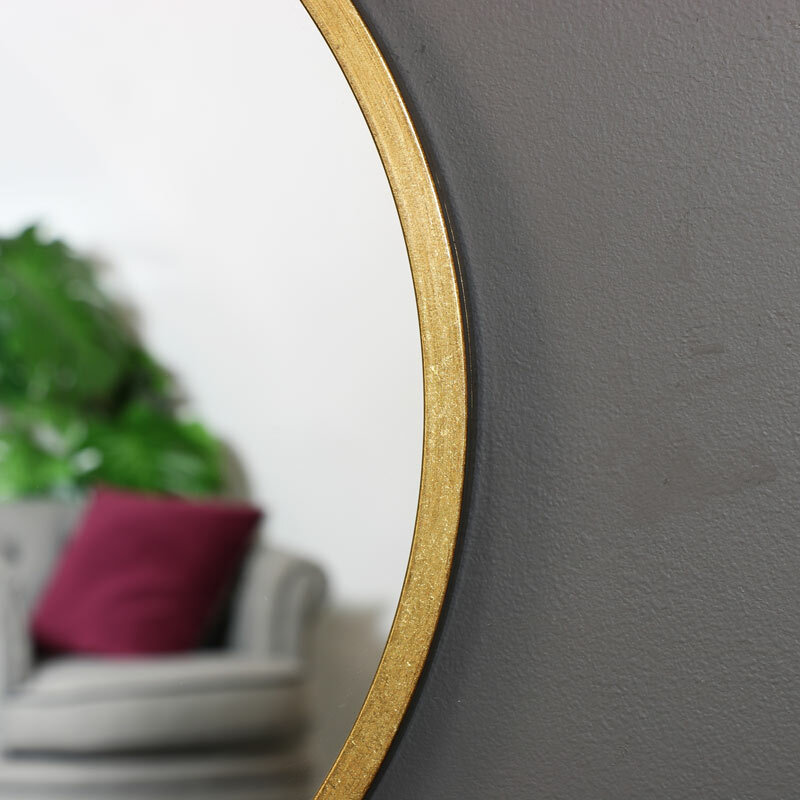 Make the perfect statement to your decor with this fantastic wall mirror. Round design with a slim gold frame adding a rustic, luxurious feel. 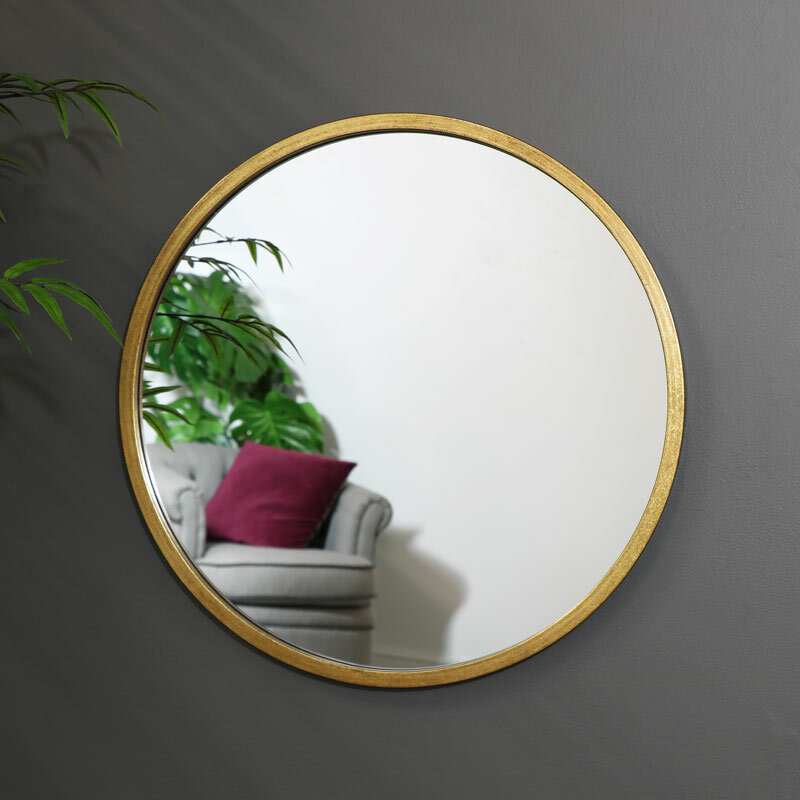 Ideal for displaying in the living room or hallway or even for use as a stylish bathroom mirror. Mirrors make the best home decor accessory and can add that finishing touch and also open up a room. With many more mirrors to choose from, you can decorate your home with your own interior styling. Finished in gold and easily wall mounted with a hook on the back for hanging.